If downloading the zip file you will need to then run the jar file contained in the zip or if you download the jar directly then you can launch the jar file. 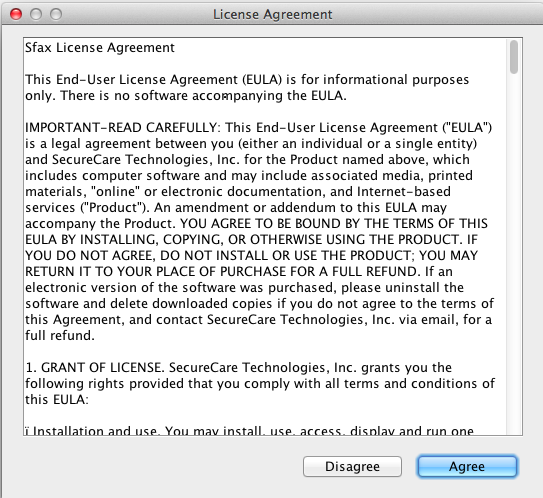 You will then be presented with the License Agreement which you will need to agree in order to continue. After agreeing to the license agreement you may encounter the request to "Please Authenticate To Continue Install". The request is asking for the Admin Password of the computer to continue the installation. 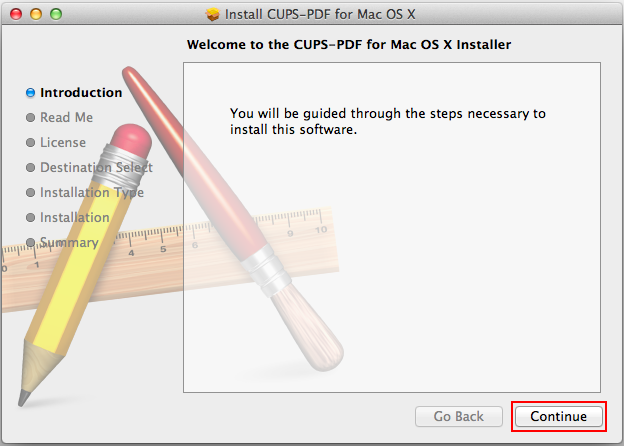 Once the password has been validated you will be taken to the Install CUPS-PDF for Mac OS X. You will need to select the Continue option for the install to continue. The next screen will take you to the Read Me area which speaks further about the CUPS-PDF. 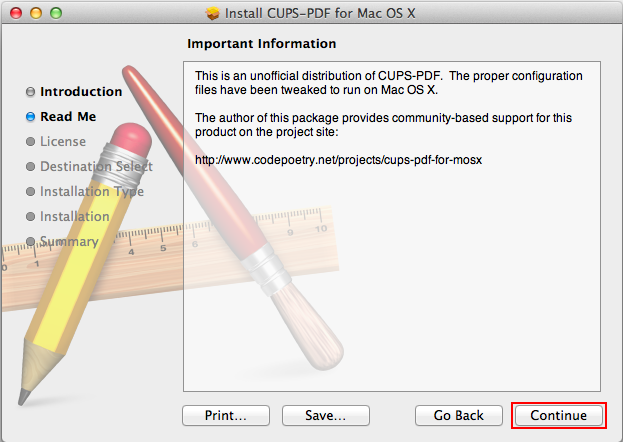 You will need to select the Continue option for the install to continue . The next screen will take you to the Software License Agreement. After reviewing the information select Continue to move forward in the installation. 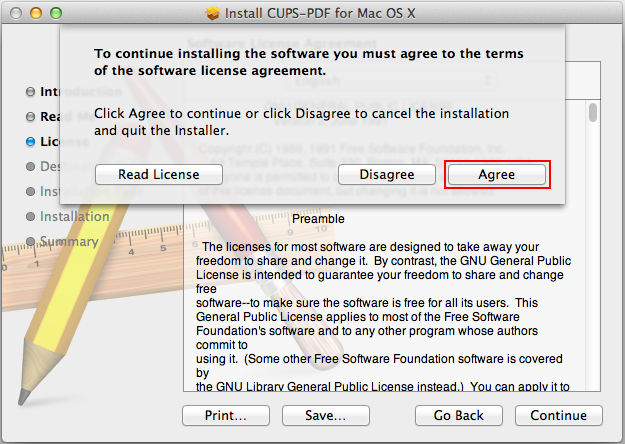 You are then presented with the option to Agree with the software license agreement to continue the installation process. 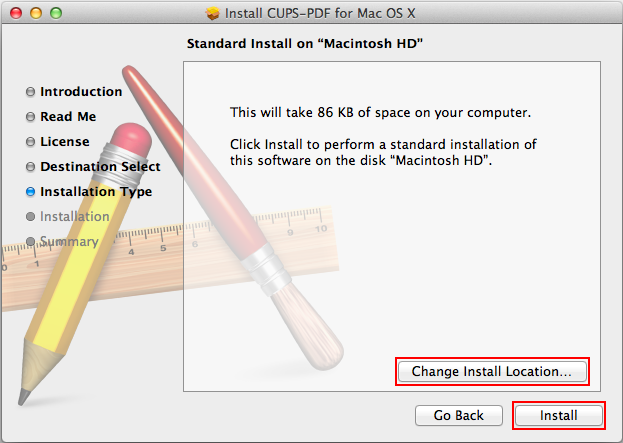 The next screen presents you with the option of changing your install location or if selecting Install will continue with the default install location. 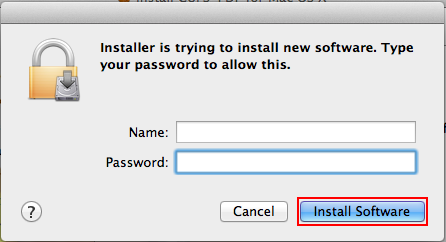 After you have selected the Install option you may be presented with another authentication request to allow the installer. This is looking for the admin name and password of the computer. If you do not encounter this option move to the next step. After selecting the install option the install process will continue and once complete you will encounter the Installation was Successful screen. You can select the close option at this time. 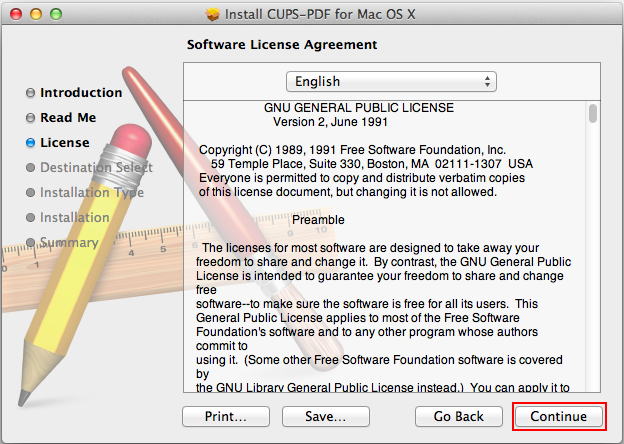 After the installation completes the next part of the installer will automatically launch which is the Sfax License Agreement. After reviewing the Sfax License Agreement select Yes to continue. 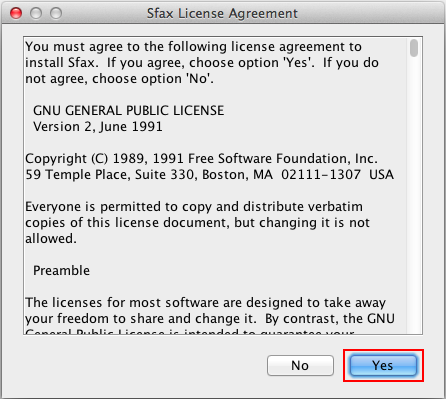 After selecting yes to the Sfax License Agreement you will then be presented with the Install Sfax option. 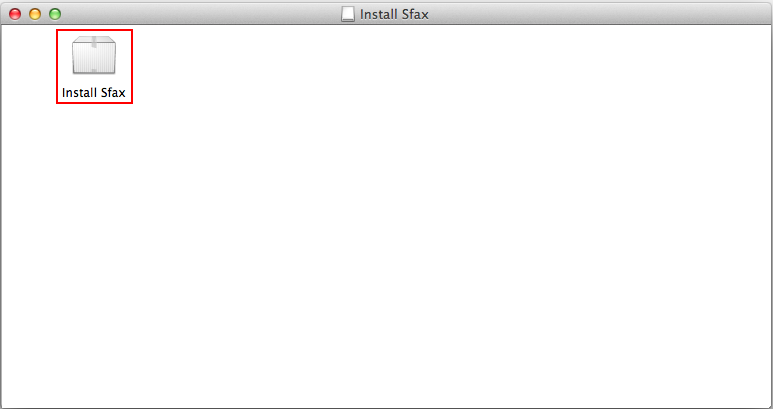 Double click on the Install Sfax to continue with the install of the Sfax component. 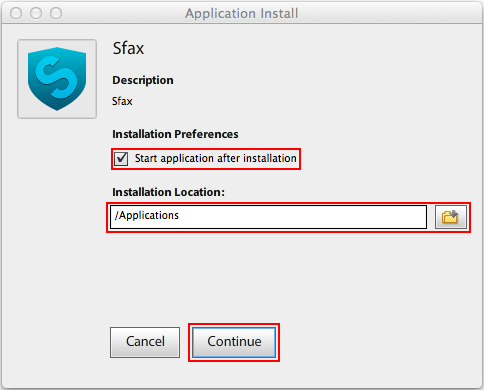 The Application Install screen presents the option to start the application after install as well as change the install location. Once you have made your selections select Continue to complete the installation process. 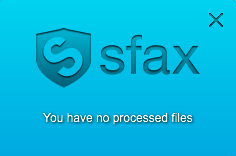 If the option to Start application after installation was checked you will encounter the Sfax for Mac screen indicating "You have no processed files". 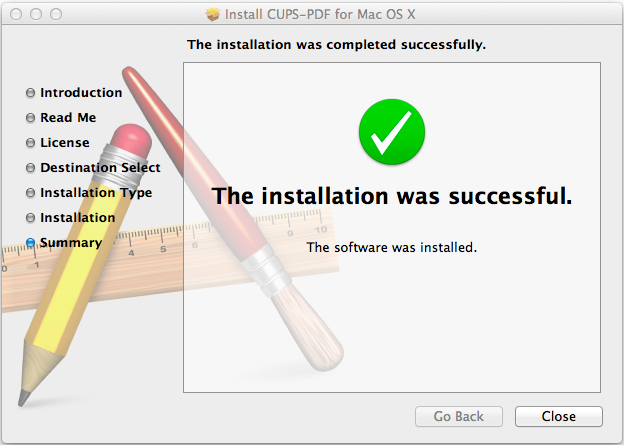 Your installation is now complete and documents can now be sent to the Sfax for Mac virtual print driver. 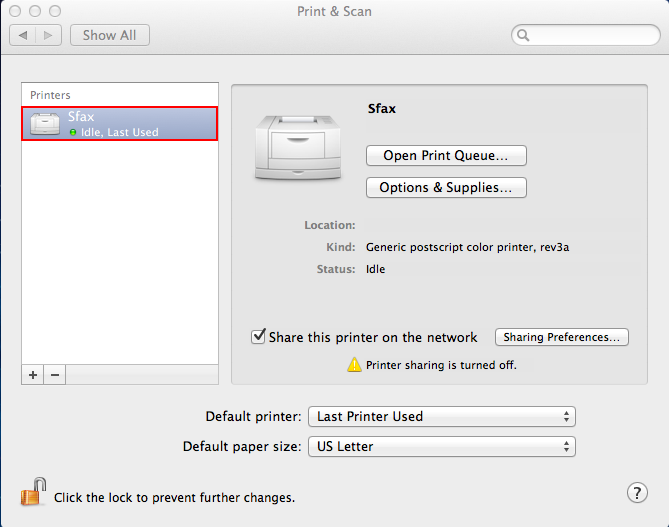 You can verify the installation by browsing to your Print & Scan settings and find the Sfax printer. If you have any questions or need assistance please submit a ticket request or contact our support team.